Applying red bleach over your hair can give a unique look, but you have to follow a seperate method of bleaching process to achieve it. 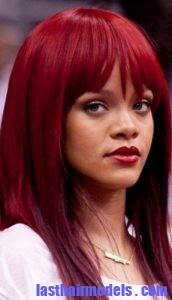 The bleaching process to achieve red hair is much stronger than the black hair. In most cases even after following the right techniques you may not get the red hair you wished to achieve at the end of your bleaching process. Begin your bleaching by spreading 20-volume of peroxide behind your head at the nape without touching your scalp. 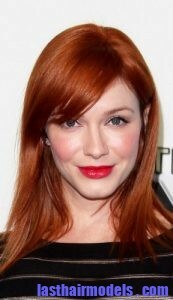 Try to use 30-volume peroxide if your hair is naturally red in color. You must be very careful while applying the peroxide over your hair as it may cause discomfort for those who are allergic to it. In case of any discomfort, try to rinse it out of the head immediately. Try to apply the bleach over your hair around your head quickly and avoid it spreading it over your skin. Once your hair gets completely covered with the bleach, try to cover it with shower cap. Then take a blow dryer along with a diffuser to dry your hair with the shower cap on your head. You must keep any eye over the hair color and once your see the desired color which will take at least half an hour before rinsing it with water. Next apply protein-based conditioner over your hair to maintain it in the right way without causing any damage after the bleaching process.